And the clock has been ticking for a long time. Assam was originally home to a number of indigenous tribes, who had been living there for centuries. A few years after independence, the government of India, while giving Scheduled Tribe status to these indigenous inhabitants had divided the region in tribal belts and blocks. That land was marked to be held only by tribals. However, due to occupation of land by the ever increasing stream of immigrants, the number of tribal belts and blocks has reduced to nearly half the original number now. Besides, non-tribals continue to occupy more and more land in these areas. Furthermore, many of these tribes were given unequal ST status, creating divisions among them, even though they have the same cultural background. 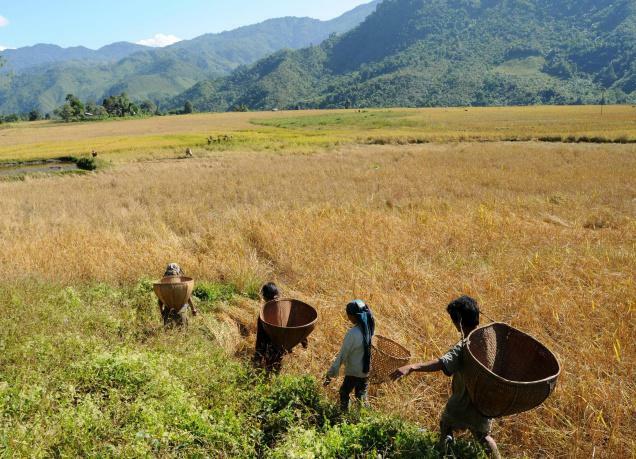 The Dimasa people, for instance, who are one of the earliest settlers in the region have been divided into areas that fall under Assam and Nagaland. The administrative classification is such that they are a minority in both states. Moreover, due to use of weapons and threats during elections, they are not politically represented. In some places, their historic monuments were removed by bulldozers and the areas turned into markets. On the other side, the government has turned a blind eye to decades of unchecked infiltration from Bangladesh. The infiltration has been so unchallenged and undocumented that the muslim refugee camps themselves have been housing over double the total muslim population on record in those areas. The immigrants initially came and started settling with Indian muslims and married into their families. On one hand, the aborigines were divided by the ST classification while on the other, the Bangladeshi immigrants joined the Indian muslim inhabitants with familial bonds, and began laying claim to rights and privileges. The Central government turned a blind eye to these developments allowing minority to turn into majority and threatening the identity of these indigenous tribes in their own land. The Assam assembly has about 20 representatives of Bangladeshi origin. Due to government apathy, the issue, which was originally about land occupation, today has unfortunately assumed a distinctly political and communal colour. And the ripples of this communal conflict are being felt all over India now. It is the short sighted and narrow minded strategy of vote bank politics that is now threatening the security of the whole country. This should be a lesson for all of us not to elect any candidate or party indulging in vote bank politics. The rules of engagement for our security forces on the Bangladesh border are very different from those on the Pakistan border. 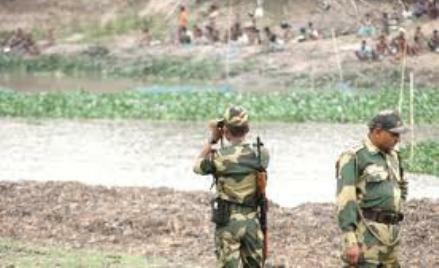 On noticing any suspicious activity at the Bangladesh border, all that the patrolling soldiers can do is blow a whistle or flash a light, which in turn makes them a vulnerable target. Due to administrative callousness and reduced security, the region is functionally very conducive for anti-India agencies. As a result, a number of terrorist organizations have sprouted in the region. Weapons and anti-India links are found regularly in arrests, encounters and surrender of militants in the region. Let us not forget the 2008 multiple bomb blasts in Guwahati. 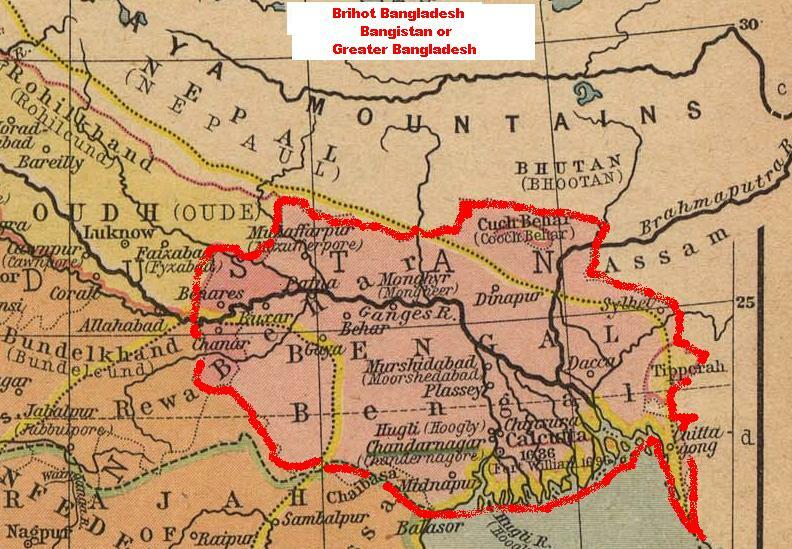 There is already talk of Greater Bangladesh, which hopes to include Assam, West Bengal and other north eastern states of India. A large number of immigrants and have even trickled down to Bihar and Orissa. This is a step-by-step repeat of what happened in Kashmir. The demography of the region was changed by driving Kashmiri Hindus out by force and the region made volatile by spreading violence and terror. There is a clear lack of political will even to address grave security issues in our country. Corruption and greed has blinded us to such a degree that we do not mind conceding pieces of our own motherland – the same motherland for which, just a few generations ago, our forefathers sacrificed everything, including lives. A democracy functions in its true essence when its people are awake and aware. When narrow and selfish mindsets take over, it loses all direction and becomes distorted. We have been a ‘sleeping giant’ for too long. We need to wake ourselves because the explosions we’ve been hearing all around us are not merely alarm bells but battle cries. 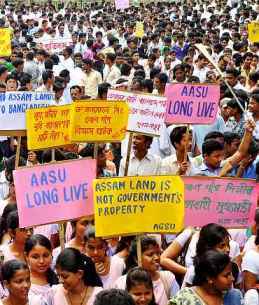 Wake up dear Nation…… Assam is a beautiful part of our country…. we will not part with it !!!!!!!! Well researched piece. It’s high time we wake up to the perils of vote bank politics and create the change we want to see. Very nice piece Nakul, thanks for sharing 🙂 We have to make a stance against before corruption tears India apart! This essay is good because it forces Indians to take notice of issues, which the political jokers in Kolkata,,Gwahati and Delhi pretend do not exist.